If you are experiencing a stomach ache and nausea or vomiting, learn how to understand the possible causes and how to feel better. According to the National Institute of Health, stomach ache and nausea aren’t always signs of a serious condition. However, there are times when the causes of stomach pain and vomiting require immediate medical attention. Many medical conditions can lead to stomach aches and nausea. If you believe your condition is worsening, it’s always best to seek the advice of a medical professional. Gastroenteritis (a common stomach virus also known as the “stomach flu”). 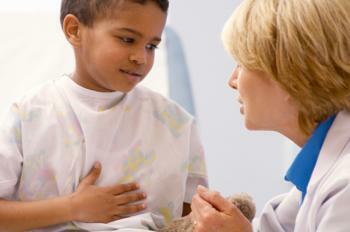 The symptoms of Gastroenteritis typically include stomach ache and nausea, as well as diarrhea. The stomach flu can quickly cause dehydration. If you think you have gastroenteritis, be sure to drink plenty of water and seek care with your primary physician or an urgent care provider. Food allergies. Stomach pain and nausea are possible symptoms of a food allergy. The pain would typically start within two hours of eating the food that is causing the reaction. Food allergies are not always serious, but if stomach pain does not ease in a few hours, it is wise to seek medical attention. Food poisoning. Symptoms like fever and diarrhea in addition to your stomach pain could indicate that you are suffering from food poisoning. If you recently ate raw or undercooked meat, or if you think you may have eaten food that was otherwise contaminated, this is likely the cause of your pain. These issues will usually resolve themselves with treatment at home. Other more serious issues that require medical attention include appendicitis, a bowel blockage, hernias, ulcers, colitis, Crohn’s disease, and stomach cancer. General pain. This includes nausea and overall soreness. Common maladies like an upset stomach or food poisoning fall into this category. Localized pain. If the pain is focused on a specific part of the stomach, a doctor can often make a diagnosis. For instance, appendicitis is sometimes diagnosed due to pain in the lower abdomen. Cramps. This can be caused by anything from gas to constipation. Cramping that persists for more than 24 hours may need to be examined by a medical professional. Common issues that cause nausea and a stomach ache — like food poisoning or a virus — can usually be treated at home with rest, fluids, and over-the-counter medications. When symptoms persist for a length of time or pain is unusually intense, seek the help of a medical professional. Sometimes visiting a primary care physician isn’t feasible, and a non-emergency like a stomach ache doesn’t require a trip to the emergency room. 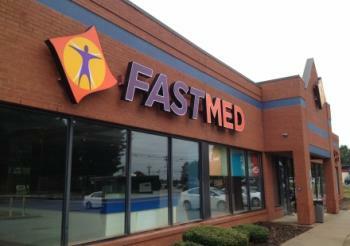 FastMed Urgent Care is a great option for your treatment! Our licensed professionals provide high-quality care in a timely manner. At FastMed Urgent Care, we accept most major health insurance plan, including Medicare and Medicaid, and offer a self-pay discount program to ease your financial burden.